Fans of the Alien franchise can rejoice. Ridley Scott, the director of Alien, has returned with a movie that's sort-of-not-really an Alien prequel. Watch the trailer below and then feel free to read my thoughts. I read online last year that Ridley Scott was filming an Alien prequel and was very excited about the news. Yesterday, I saw the trailer online and it was awesome. I'm feeling good about some of the films that are planned for a 2012 release like The Dark Knight Rises, The Hobbit, The Avengers, and Prometheus. 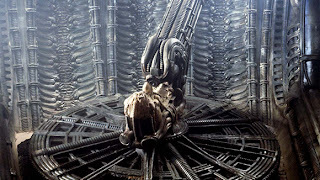 As stated earlier in this post, the film is a prequel of sorts that takes place in the Alien franchise universe. Prometheus will give us some clues to what the crew of the Nostromo discovered in Alien, especially that giant crashed spaceship with the freakish alien skeleton inside. Let's talk about the director, crew, and actors. Ridley Scott is the director and this guy knocked it out of the park with Alien. 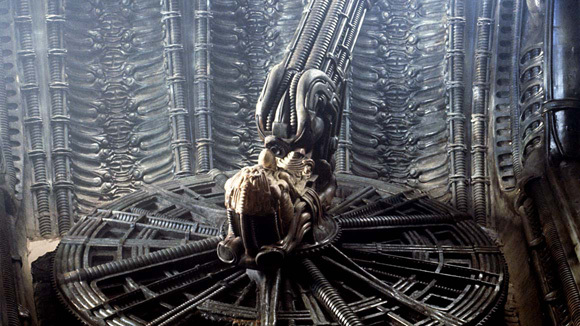 If you want to know how to do a horror movie then check out Alien because that's how it's done right. I'll admit that I'd be very worried if a director other than James Cameron (Aliens) was at the helm of this project. Scott did a great job and so did Cameron. Yes, I know David Fincher was the director of Alien 3 and I have nothing against him, but I'll admit that Alien 3 was not that great of a film and I will not even talk about the dreadful Alien: Ressurection. The cast is very impressive. We have Noomi Rapace (The Girl With The Dragon Tattoo 2009), Charlize Theron, Michael Fassbender (X-Men: First Class), Idris Elba (The Wire), and Guy Pearce (Memento). That cast seems pretty solid to me and I don't see a weak link among the actors. The writers for Prometheus are Damon Lindelof (Lost) and Jon Spaiths (The Darkest Hour) which gives me further hope that this movie will be a summer blockbuster. What are your thoughts? Feel free to share them in the comments section below!